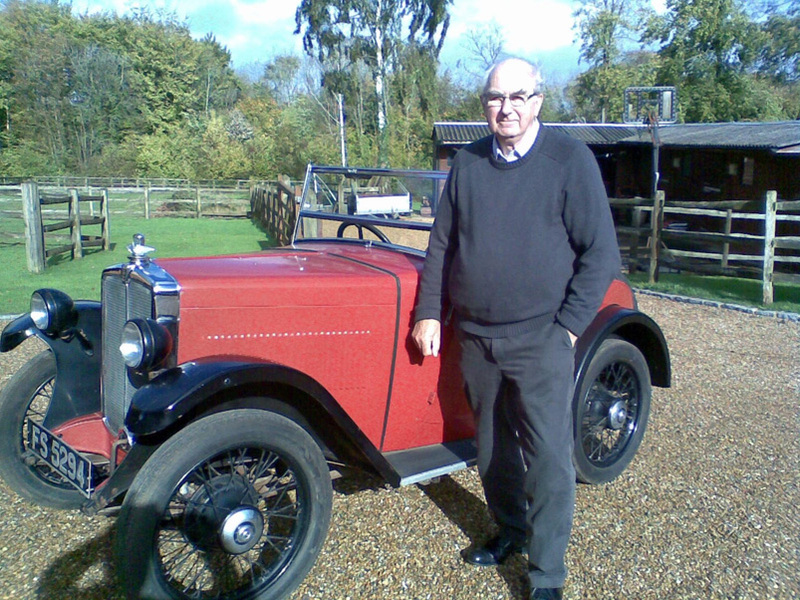 Guy Harris was recently re-united with his 1933 Minor Two-seater FS 5294, a car he first owned as a student in 1958. He writes: The (recent) picture was taken when I had it picked up (on the back of a flatbed). I was given the lead by Ian Grace of Vintage Minor Register and followed it up. The car had lived within 30 miles of where I have lived for many years. I have since turned the headlight brackets round as it looked rather weird – the brackets had been put on the wrong sides for some reason. It is in quite good condition as you can see, but various bits need de-rusting. I ran the engine briefly on January 1st after fitting a new coil, rebuilt carb as needle was corroded and bent, rebuilt distributor etc. Probably needs rewiring as a lot of the wires look original and a bit tatty in places. Hood needs replacing sometime as the remains of the hood that came with it looks like the John Wrigley hood I fitted in 1959 – cost £6-17-6 according to the invoice that was still with the car. A note on the invoice from JW states – “ sorry about the price increase” !! 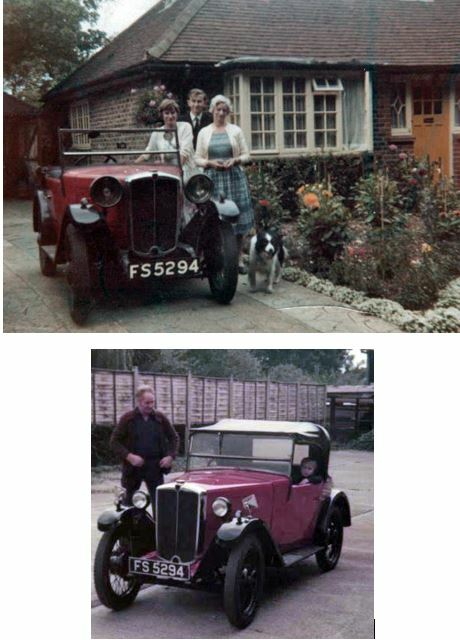 Yes all my invoices from 1958 to 1961 were still with the car, along with the original buff logbooks, which indicates that only 3 people have looked after the car since I sold it in 1961 for £15, after 10,000 miles, one replacement crankshaft, Bowden cables on the front etc. 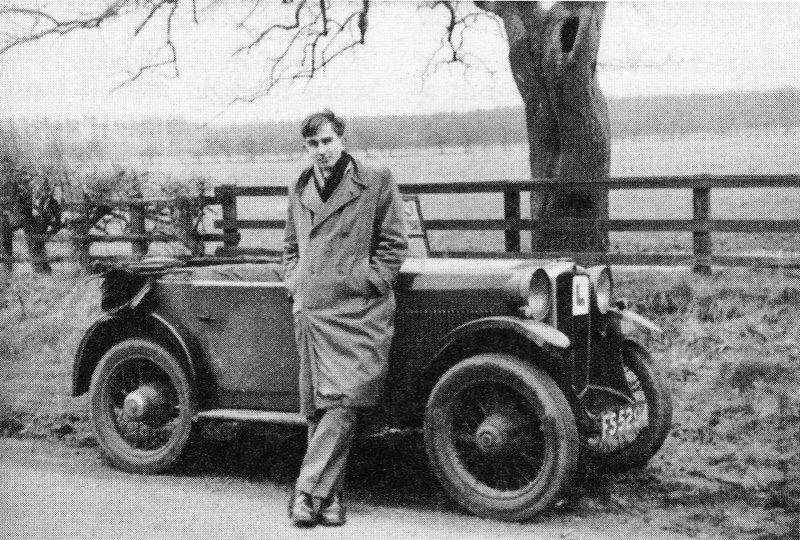 The crankshaft broke after a “race” along the Dorking by-pass with a Morris 8 when an indicated 60mph was noted briefly – quite exciting as the car did not have any shock absorbers (pre- MOT), but the two main bearing crank obviously protested reasonably enough. 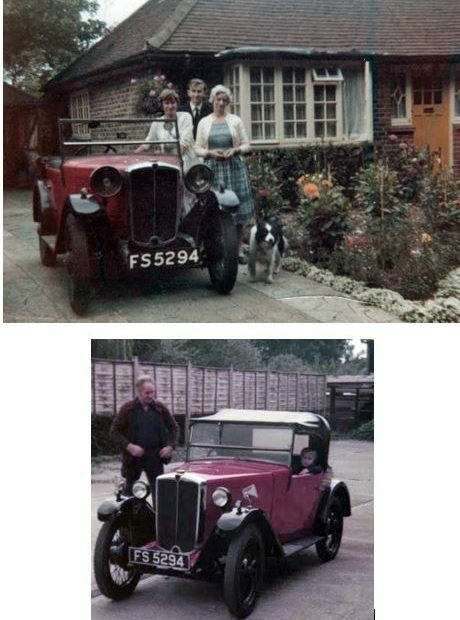 I am looking for a petrol tank cap, plus drawings of side screens and a good photo of the door pockets of the 2 seater, as the originals have been replaced with flat fabric covered door cards. Hopefully somebody may be able to oblige? If anyone can help Guy, please contact chris@prewarminor.com in the first instance.